Electrical Facials – The Future of Wrinkle Free Skin? No matter how advanced the beauty industry gets, fine lines and wrinkles remain a huge topic of concern. As many gels, creams, and serums in today’s market you’d think someone would finally defeat ageing. Unfortunately gravity still wins the war so before you result to insane methods like bird poop facials or expensive plastic surgery try an electrical facial. What exactly is an electrical facial? 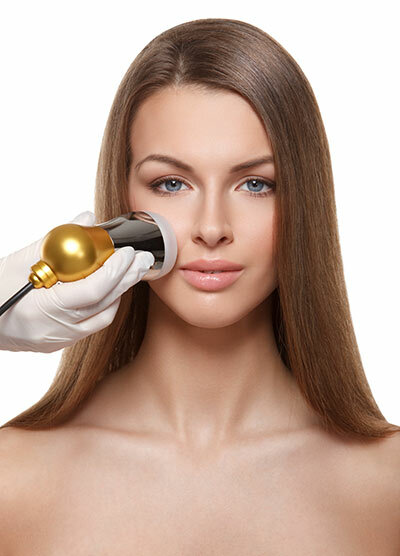 Electrotherapy is the professional term for an electrical facial. It involves using electrical current to treat skin issues. The first record of electrotherapy practice dates back to the 19th century when it was discovered that electricity can make frog legs twitch. Further research was conducted throughout the years and later resulted in the creation of electrotherapy machinery. The direct method involves placing a glass tool directly on the skin. This method is commonly used to heal acne or disinfect the skin. The indirect method works when your client hold the tool and the esthetician massages the face while an electric current is released from her fingertips. A micro-current treatment works by copying the way the body creates electrical impulses. The current is very low but help to firm muscles. This method has also been used to help those suffering from stroke or paralysis. Am I a good candidate for an electrical facial? Those who have recently gotten a chemical peel or laser procedure. What Should I expect during an electrical facial? The procedure of your facial will differ depending on the type of treatment you are receiving but there are a few things you should expect should you decide to get an electrical facial. You will be lying on a facial table/chair during the procedure. They are normally very comfortable so you are able to relax. There will be a questionnaire. Before getting started with the procedure your esthetician will as a series of question regarding your skin, skincare routine, and lifestyle. This will determine that you are receiving the correct procedure or save you from something that isn’t safe. Free yourself from all distractions. There is no need to bring a friend or any games along to keep you busy because this service has an aura of relaxation. There may be soft spa music playing during the procedure but do not ruin the environment with noisy devices. You may feel the current. The current is very low during electrical facials but you may still fell a small shock. It will not hurt but it may startle you. There are normally no aftercare requirements for electrical facials. In most cases your esthetician will show you products that are great for maintaining your skin. If you are someone who gets Botox, electrical facials are often prescribed for better results. There are no known side effects for electrical facials. When receiving a Galvanic treatment you may experience a slight metal taste. Can I perform an electrical facial at home? An electrical facial normally begins at about $100.00 and can go up from there. These procedures are normally about an hour but some places have options to buy less time. If this seems too steep, especially since you want to continue treatments, try an at home device. These handheld devices claim to be just effective as a spa procedure at a much lower price tag. They are usually about the size of your palm and fits in perfectly similar to a computer mouse. Most machines come with their own skincare formulas to use with their device so there is no need to buy anything extra. Nu FACE is a popular at home facial toning device that performs using the micro current method. It is FDA cleared and backed by icons like Madonna and Kate Winslet. Celebrity makeup artists also use these devices to firm skin before makeup application. 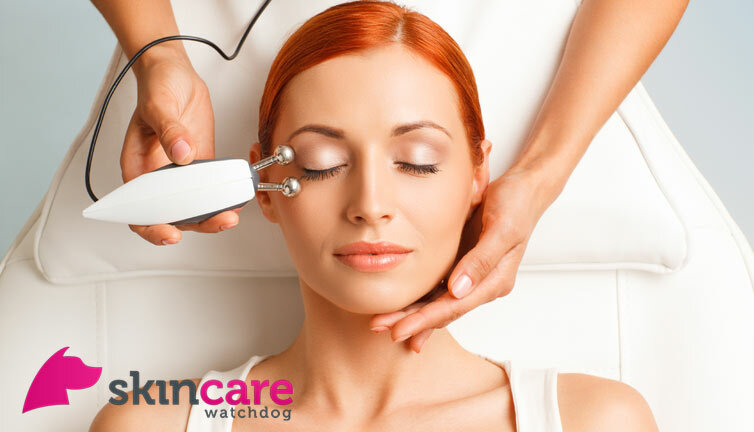 Electrical facials are booming at the moment. Plastic surgeons offices and spas are going crazy over these treatments due to their amazing results. What do you think? Would you try an electrical facial? What in your opinion is the best electrical Lifting Ani-Aging facial treatment? because im 39 ..starting worrying about my collagen and lifting issues.. I have braces. What will the electrical facial do to me? Why is it recommended that I don’t use it? I have just begun treatments with a Galvanic Spa from NUskin and Nuskin products and my under eye area is getting read and itchy. Has anyone else seen that?